Toronto is big on films, architecture, and without a doubt, food. Expats who have fallen in love with the cosmopolitan city have formed a huge community in Downtown. While expenses are high and winters can be harsh, Toronto makes up for it with its security and great transportation system. Beautiful nature and beaches, vibrant local scene, career opportunities - it has got them all. 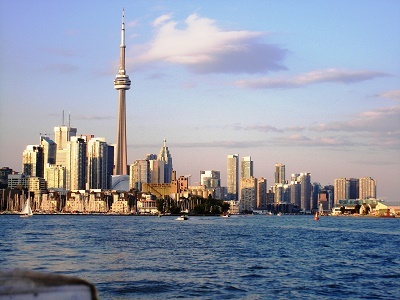 Toronto is the provincial capital of Ontario and the fourth largest city in North America. It is the most populated city in Canada with 2.6 million residents. Among the 2.6 million residents, 51% of the population is born outside of Canada making Toronto is a great place that embraces cultural diversity. Toronto’s history began in the late 18th century when the British colonial officers purchased a land from the Mississaugas of the New Credit which they named the “Town of York” and was governed by the lieutenant governor John Graves Simcoe. Over time, the town became more prosperous and was renamed the “City of Toronto” in 1834. From then on, Toronto flourished into today's thriving Canadian metropolis. The official currency of Toronto is the Canadian Dollar or CAD. They also have the Toronto Dollar that was founded in 1998 and is a project of St. Lawrence market and managed by Toronto Dollar Community Projects Inc. It is a local paper currency that is supported by the Canadian Dollar. The local currency is primarily used in Gerard Square and in the St. Lawrence Market which is only accepted at participating stores. Shoppers can get or exchange for Toronto dollars at selected local outlets and spend them in any local business that accepts them. The thriving capital of Ontario, Toronto is considered to be the most developed and modernised city in Canada. Many expats and migrants find themselves relocating here because it is the nation’s largest business hub. It is no doubt that Toronto can give you promising job opportunities in its several sectors such as media, IT, communications, banking and a lot more. Aside from these, you will enjoy many outdoor activities or simply find relaxation in the Great Lake Huron during your weekends. Here are some guidelines that can help you make a smooth transition to the prosperous city of Toronto. Art and culture are very well celebrated in the city of Toronto, and if you would like to be a part of the art scene, familiarise yourself with the festivals and the events that regularly take place in the city, such as the Toronto Film Festival. Despite Canada's reputation for really harsh winters and generally cold weather, Toronto's weather is actually quite mild. Don't bother packing too much winter clothes as it doesn't get awfully cold in this part of the country. Unless your landlord says so, you have to be prepared to pay for your utilities like water, electricity, gas and garbage collection which is around €90 per month. Other services like an unlimited internet connection can cost you roughly €40 monthly and local prepaid mobile calls are billed €0.20 per minute. You will find various types of housing in Toronto like high-rise condos, apartments, studio types and detached homes. Most rentals are unfurnished unless explicitly stated in the advertisement or by the landlord. You can also choose between a short term or long term lease agreement, but you have to bear in mind that once you sign a contract, it's already considered legal and binding so make sure to read it thoroughly first. Most expats are residing in the city centre where the price of a one bedroom apartment starts at €1050 per month and €1820 for a three bedroom unit. You can also find accommodation in the outskirts where there are larger outdoor spaces, and the population is less congested. A one bedroom flat costs €780 (monthly) and €1250 for a three bedroom unit. Bringing your belongings abroad can be a very complicated task which requires a lot of time and attention. The Good thing is that many international shipping and removal companies provide door to door service to Toronto where they will facilitate the whole moving process for you. The average shipping time to the Port of Toronto is 25-29 days depending on your country of origin. Once the containers arrive, local customs officers will inspect the cargos before they clear it for entry. Follow this link to know more about the city’s import regulations. The Canadian Food Inspection Agency is the one who facilitates the entry of all animals entering Toronto so make sure to contact them before bringing your pet. Though there is no quarantine period, you still need t provide documents like the Rabies Vaccination Certificate and International Health Certificate to prove that your pet is free from any contagious diseases. After all these preparations, you will be glad to know that you are about to live in what National Geographic named as the most ‘civilised and civil’ cities in the world. Toronto offers not only a paved road to success but a quality lifestyle for you and your family. While Toronto's official languages may be English and French, it is common to hear a multitude of other languages being spoken due to its multi-cultural population. Canada’s most populous city is well known for the iconic CN Tower. Toronto is a hub for the working individuals when in Canada which is why it is no wonder that the city has been continuously attracting international assignees from over the world. Getting a chance to live in this majestic city means a time for work and some play. There is a place for anything you need when you live in Toronto. 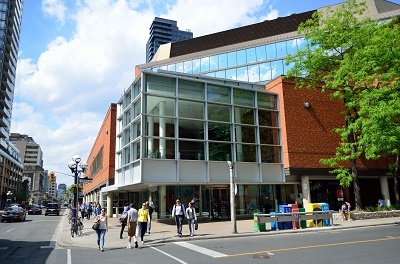 Aside from the supermarkets like Loblaws and Walmart where you can buy anything, there are also markets in the city wherein the items to buy are divided. The St. Lawrence Market, for instance, is a stop for your fresh produce needs such as meat, fish, bread and spices. Expats wanting to buy products at lower prices may consider a store like Honest Ed’s. Those who do not have enough time to visit a nearby grocery even have the option to go online to pick out some groceries. Public washrooms in Toronto are usually found inside department stores, hotels and restaurants. Expats may visit malls such as Eaton Centre, Distillery District, and Harbourfront Centre. Getting notified and paying bills in Toronto is all reminded by the city’s government. Expatriates will receive mail from them with the list of utility bills -water, electricity, and waste management listed on it. The idea that Toronto has an entertainment district just goes to show how they value enjoyment. The district is treated as a hub for performing arts, theatre and almost all of the attractions found in the city. September is a great time for the Toronto International Film Festival wherein many filmmakers and actors are being celebrated. Expat children also love it here as this is where amusements such as Ripley’s Aquarium of Canada, Hockey Hall of Fame and CN Tower are all found. Everyone in the city loves to take care of pets, and pet parlours and veterinarian clinics are everywhere. Canadians are also very helpful, which means having the initiative bone in your body almost imperative. They surprisingly love small talks as well and preferably talk about work even if after work hours. What most people say about Toronto is that most of your earnings go to your taxes instead of food. One can be said to an expensive city like Toronto. Adjusting to a new way of life can be timely but attainable if you take one step at a time. The language can be easily understood, but expats must take note that Canadians have a silent ‘T’. Toronto has four seasons in a year: Spring (March to June), Summer (June to September), Fall or Autumn (September to December) and Winter (December to March). Spring is the wettest time of the year where the average daily temperature is 12⁰C. Expats moving to Toronto should expect that summers can get very warms where the temperature even goes above 30⁰. It is also the season of the year where most cases of heat exhaustion and stroke are reported so always stay hydrated and avoid direct exposure to sunlight. The temperature during winter in most parts of the city drop below -25⁰ at night. Don’t forget to pack thick warmers such as coats, scarves and gloves to avoid freezing from the cold.